A common assumption made about chronic pain when the usual medical pathways fail to find the answers we are looking for. When the MRI shows the injury has healed and the blood tests come back clear. When the surgeries, injections and thousands of dollars spent on physiotherapy, massage, and chiropractors yields minimal change to disabling pain, fatigue and frustration. When your healthcare practitioners start to tell you you’ll just have to learn to live with it. At what point do we start to ask ourselves is it in my head? The answer? From an anatomical perspective – Yes, it is in your head. But the pain is real. The location of your pain is in the brain, or more specifically in the neural synapses firing within the 100 billion cells that make up your brain. The Central Nervous System (CNS) is made up of your brain and spinal cord which produce the experience of pain throughout the body. Every movement we make, every stimulus to our body (pressure, touch, temperature) is analyzed by the CNS and the brain decides whether this stimulus will cause us pain. So why does pain persist long after the skin, tendons, muscles, ligaments, bones and nerves have healed? Because the Central Nervous System has gotten very efficient at producing pain. Just as thousands of hours of practicing the piano makes us a skilled pianist, thousands of hours of practicing pain makes us more efficient at experiencing pain. Rather than moving into a “fight or flight” state only when faced with an immediate threat, our CNS becomes sensitized, staying in a constant stress response. The system becomes hypervigilant, producing pain even to non-threatening movements or stimulus. A common expression in medicine is “neurons that fire together, wire together.” A simplified explanation of neuroplasticity is that the brain will adapt to the tasks or stimulus it’s repeatedly exposed to, whether it’s low back pain or playing the piano. To change the experience of pain we need to shift our focus to treat the Central Nervous System. We need to build positive neuroplasticity to counteract the years of negative neuroplasticity associated with persistent pain. Unfortunately, the brain is often primed to emphasize negative experiences (from an evolutionary perspective this helped us survive) – so we have to work harder to create positive neuroplasticity. Luckily there is a growing body of research devoted to developing positive neuroplasticity and changing the brain. This can be achieved through mindfulness meditation, novel non-threatening movement (yoga, Tai-chi, Qi-Gong, dance), practicing gratitude, learning new skills (language, music, even juggling! ), laughter and engaging in community. Developing positive neuroplasticity isn’t just about managing pain – it’s about treating pain. De-sensitizing the nervous system can improve pain and quality of life. The pain pathways in the brain will become less efficient and the experience of pain will diminish. Just like any worthwhile endeavor, this requires time, practice and patience. We don’t become concert pianists overnight, but over time our brain can make remarkable adaptations to change how we think, feel and live. 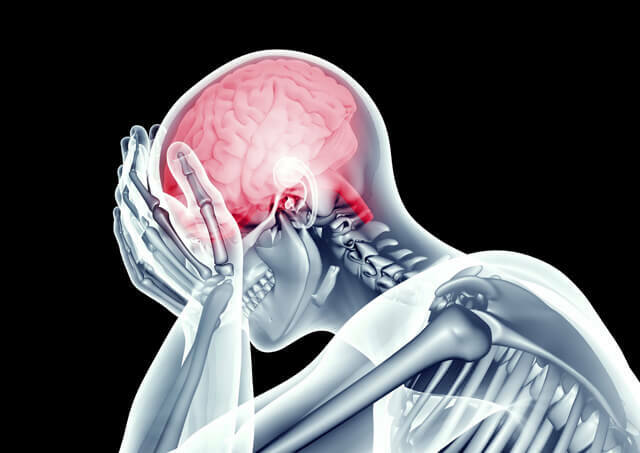 Explore the fascinating relationships between neuroplasticity and chronic pain. Click HERE to learn more about Katie Kenyon’s course Transforming Pain with Neuroplasticity.